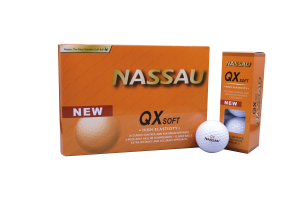 Nassau Golf distributes high standard technology golf balls to Europe. Our golf balls are manufactured according to the latest technological developments in the Nassau factories situated in Seoul, South Korea. 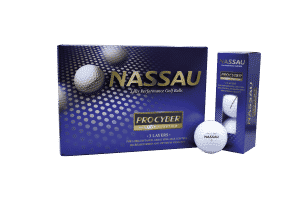 Our broad selection offers Nassau golf balls for each type of player and each type of golf course. 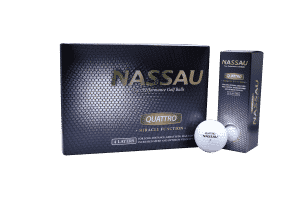 Starting at 120 ordered golf balls (Nassau Quattro), Nassau offers your company the opportunity to customize your golf balls by enhancing them with your own logo, name of picture. Golfballs with your own logo! 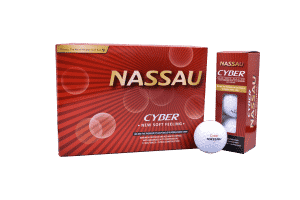 Nassau prints the balls in three different ways, so we have the best solution for every print job!